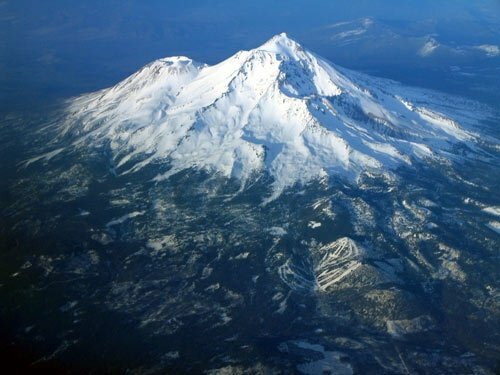 Mount Shasta is a volcano located at the southern end of the Cascade Range in Siskiyou County, California. At 14,179 feet, it is the second highest peak in the Cascades and the fifth highest in California. It is also the location of a number of strange and unexplained disappearances. The strange true story of a three year old child that was lost in the Shasta Forest for 5 hours is just one of the many strange things that have happened – He was “gone within a second” according to witnesses. Other campers were thought responsible, and questioned – but later that day the boy reappeared, and told a story not of this earth! He claimed he was abducted by a robot double of his grandmother, and taken to cave filled with spiders. When she woke, she had a puncture wound on the back of her head. She said she felt violently ill that morning, and felt strangely emotionless, so she thought she’d been bitten by a poisonous spider. She said she was with a friend who’d been sleeping in his separate camper, and he also woke up with a ‘bite’ on the back of his neck, and he felt ill as well. The only thing strange she could recall was seeing ‘red eyes’ shining through the trees in their flashlights night night before, which they thought were deer. Coincidentally, two more bizarre incidents happened around Mount Shasta during the time period of the boy’s disappearance, in 2011. That same month, in September, a Los Angeles area man hiking the Pacific Crest Trail heard the beautiful singing of a female voice coming from the direction of Mount Shasta, and wandered off the trail to follow it, becoming lost in the woods. He claims he was abducted and taken to a dark chamber in a cave and stripped of all his clothing. A tall female with unnatural blue eyes and strange clothing appeared and gave him a ‘gift’ and secret information, which he declined to provide details of. He was reportedly lost for several weeks, and after surviving this ordeal, this person now believes he is the incarnation of a messianic Hindu god, and changed his name to ‘Lord Kalki’. Another Los Angeles area man was with a spiritual group of friends meditating up on the mountain on 11-11-2011, and decided to take off his shoes and hike up to the top of the mountain to place a rock on its summit. A storm blew in delaying search efforts, and his body was found the next day at 9,600 feet. Mount Shasta is legendary for containing all kinds of local folklore about underground tunnels and ‘Hollow Earth’ type theories. 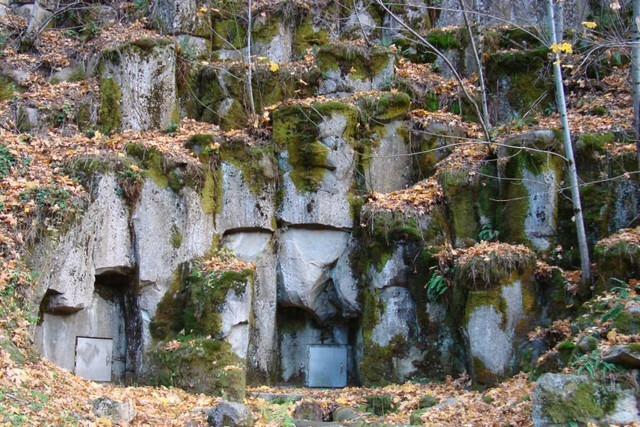 These kinds of stories revolve around underground military installations and UFO bases, ancient tombs and caverns and cities buried beneath the mountain–a multi-dimensional city called ‘Telos’ is believed by many to reside beneath the mountain, inhabited by Lemurians who built a sanctuary beneath Mount Shasta after the downfall of their own civilization. An exhaustive list of all the stories of people who’ve claimed to be taken into the underground chambers and caverns beneath Mount Shasta would fill a lot of books, and extends well back into the late 1800’s. Sometimes people claim to venture into these subterranean regions voluntarily—at other times, not so voluntarily. In fact, stories like this extend even further back into history, to the Native American tribes who have inhabited this region for thousands of years. They talk about being able to travel in underground tunnels between southern Oregon, Mount Shasta, and the upper coasts of California and southern Oregon. Some tribes have admitted that the locations and entrances of these tunnels are a closely guarded secret which has never been shared with the outside world. The region surrounding Mount Shasta contains thousands of caves, the vast majority of which have never been explored.